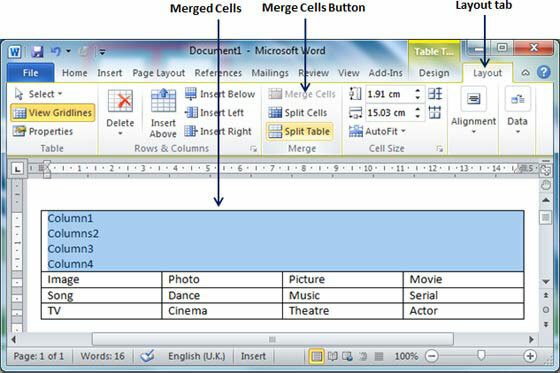 Microsoft Word allows merging two or more cells to create one large cell. You would frequently need to merge columns of the top row to create title of the table. You can merge cells either row-wise or column-wise, rather you cannot merge cells diagonally. This chapter will teach you how to merge multiple rows or columns. 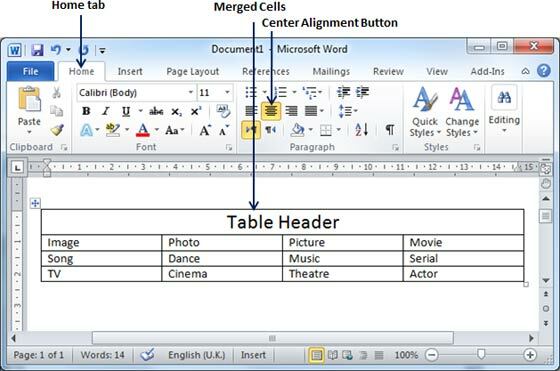 Following are the simple steps to merge table cells in a word document. Step (1): Bring your mouse pointer position inside the first cell you want to merge. Now press Shift key and click the cells around the cell which you want to merge into the first cell. This will highlight the cells which you click and they will be ready to be merged. 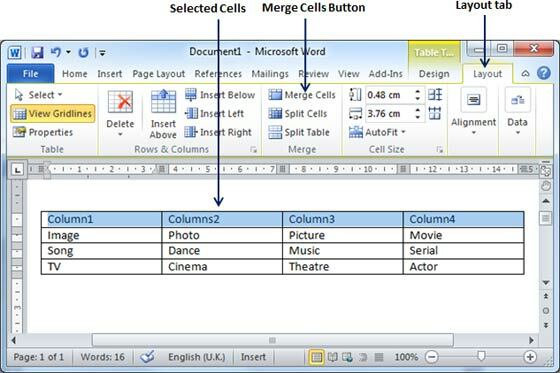 Step (2): Now click the Layout tab and then click Merge Cells Button which will merge all the selected cells. After merging the cells, all the content of the cells will be scrambled which you can fix later as you like. For example, you can convert the merged cells text into title or some other description. For example, let us have center aligned and bigger font text as follows on top of the table.